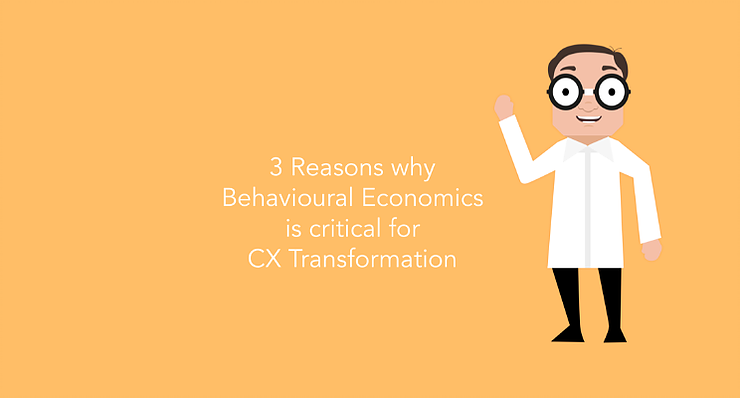 There is no doubt that Behavioural Economics provides a compelling toolkit for understanding what is really going on inside customer's brains to truly drive customer centricity within the organisation. Often counter intuitive, often seemingly common sense but not common practice - these cleverly simple customer insights often seem to drive compelling results. Working with one of our clients, simply by 'chunking' up complex information, we helped make it easier for customers to take action and improved the sales conversion by +68.5%. The brilliance underpinning Behavioural Economics is that the human insight is universal. We're using the very same techniques to improve the experience for employees and by doing so, creating valuable experiences for customers. In one of programmes, we've used 'reciprocity' to make conversations in contact centres more meaningful and fulfilling for both employees and customers alike. Customers aren't saying 'I don't know what you mean' anymore and employees are enjoying the conversations more. As a result, the attrition rate or churn rate of staff is down to a one quarter of the previous levels and employee NPS has improved considerably.